I thought it was time for us to illuminate some of the human resources myths and issues facing small business owners. I asked TAPE’s Alexia Groszer, GPHR, senior human resources generalist, to answer a few frequently asked questions. 1. What is a myth that you’ve heard about HR for small business? One myth is that employment laws do not apply to small businesses so there is no need to worry about compliance. While some laws such as the Family Medical Leave Act only apply to employers with 50 or more employees, there are many more laws small companies need to be aware of to avoid potential fines or lawsuits. To stay ahead of these issues, HR professionals can join a professional organization such as Society of Human Resources Management (SHRM). Their website has links to federal and state government websites, legal updates, certification programs, sample policies, webcasts from experts and much more. While many issues can be researched through SHRM and other sources, it is important to know when to contact an expert, such as an employment attorney, for additional advice. 2. What are the most common HR challenges facing small business owners? The cost of providing insurance benefits is a common problem due to the rising costs of medical and prescription coverage. This is a balancing act because employers are not only expected to provide benefits but also keep them as affordable as possible. A comprehensive benefits package considers the whole employee. A skilled benefits broker can help a small business identify a variety of benefit plans that meet the organization’s goals and cost constraints. An attractive benefits program can help the company recruit and retain talented employees, thereby becoming an employer of choice in a competitive market. 3. 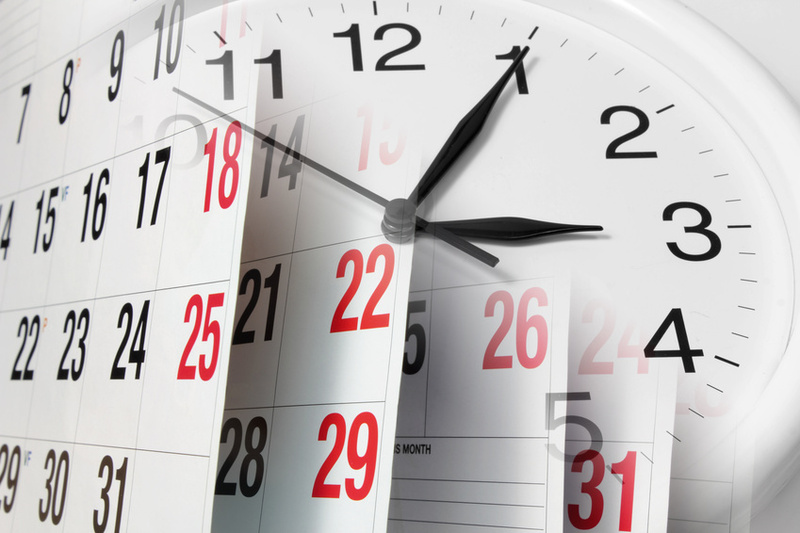 Which recent legislative changes have had the biggest impact on HR in small business? The hot topic in the news is affordable health care. Managing health care costs and ensuring compliance with the Affordable Care Act (ACA) is important to both small and large companies. Understanding what applies to your company requires some research. There are many resources available, including this helpful information from the IRS. Like other employers, TAPE had to review our benefit plans for compliance and provide Form 1095-C to each of our employees. Fortunately for us, our payroll vendor developed a new ACA Regulatory Management System and provided training to their customers. By educating ourselves and working diligently through each step of the process, we were able to complete the forms and submit them to the IRS on time. This was just another example of staying informed and managing compliance in the field of human resources, where learning is constant. Thanks for this interesting glimpse into the world of HR, Alexia! Stay tuned for Alexia’s next post about small versus large business, from an HR perspective. This is a guest post by TAPE CEO/President Louisa Jaffe. This is a subject very much on my mind these days since we just lost a long-time employee who succumbed to bone cancer. Three years ago, we lost another long-time employee to another form of cancer. Such events are always devastating in our personal lives with family and friends, but as a business owner, there are other considerations. To begin with, it is important to realize that there is a reason we offer HR benefits. Often among those are not only health care but also short-term and/or long-term disability, as well as life insurance. No one likes to think about the worst case scenarios in life but it is important for business owners to consider the impact of these benefits (or the lack of them) on the company and to the individual employee’s wellbeing should they need to use them. Part of our responsibility as executives is to make sure that the pieces are in place to offer the best support possible within our planning constraints so that the professionals on the vendor side will be ready to step in and offer specific help to our employees and their families when the need arises. That way, as managers, we will not have to figure everything out at a time that likely we may be emotionally compromised ourselves. 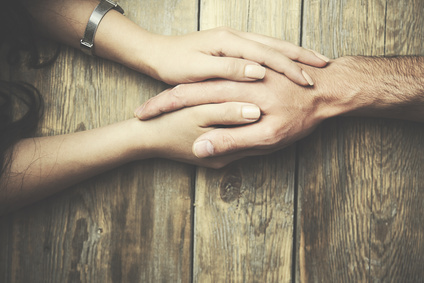 Just as with the passing of a loved one in our private lives, the news that an employee has died, even if after a long illness, can feel shocking and unexpected. If we can be prepared as suggested above, then we can give in to the grieving process and deal with just that aspect of such a situation. And the “feelings” part of the whole thing is what this blog post is really all about. There are very important leadership actions that can greatly help your entire company if you set the example from the beginning. My suggestion to executives is to prepare yourselves mentally in several ways. 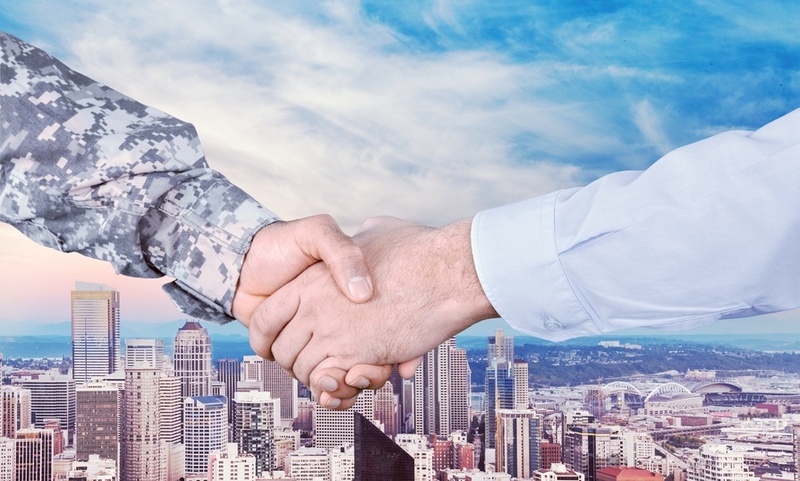 I am drawing on my military experience where the Service does things very well in terms of “taking care of their own.” If an employee becomes ill, we stay in touch with them personally to the extent we can. If possible, visit them and their families in the hospital or even at home, if the family welcomes it. Going through an illness and death can be very lonely and alienating for an employee and their families. We go visit them, call them, and stay in touch with our personal support. It is both the least and the best that we can do. We can handwrite get well and sympathy cards with our own heartfelt and authentic sentiments. Most importantly, when the person passes away, be sure to notify your entire company and subcontractors, where appropriate. Put out a message of farewell to the company, adding some interesting facts about the deceased for those who may be on a different project or live in a different place and do not know the employee. Announce the details of family plans, when known. We can attend memorial services and burials in person wherever feasible. It is the most powerful sign of respect for both the employee and the family to stand with them at the very difficult time of these “good-bye” ceremonies. My own parents passed away many years ago. I well remember how much it helped my sorrow – how much it meant to me – that people came to both of their funerals and told me what my parents had meant to them. Before then, I might have been more inclined not to discuss with someone their loss of a loved one and to stay away from the process as much as possible, thinking I was respecting the mourners’ privacy. Actually, nothing could be further from the truth. I have learned to reach out to the suffering people left behind, let them cry, let them reminisce, let them connect in whatever way they need to get through the otherwise saddest experience of their lives. It is a way to reach outside of ourselves to think of the needs of others. It is a way to do service. There are few things more empowering than giving service to those who have served you, in their time of need. When we do these things, we can feel proud to know we have conducted ourselves as leaders. This post originally appeared on the TAPE blog at http://tape-llc.com/2017/06/employee-passes-away/ and was reprinted with permission. This is a guest post by Louisa Jaffe, CEO/President of TAPE, LLC. Benjamin Franklin invented bi-focal glasses – do you know why? Because he said he wanted to be able to see his food and his dinner companions without changing glasses. Today I am encouraging you to channel your own inner Benjamin Franklin. That is to say, let your own innovative ideas out of your brain and into your business. For many years, I have had an idea percolating about a training product and learning methodology. Recently, I asked myself how I could bring it into manifestation and now I am doing just that. It is still in the research and development stage so I will let you know more about it in the future. I only mention it to say do not think as I did for all of those years, “Somebody ought to invent something better.” If you have a better idea about how to do something, act now to create a new process or a new product or at least a new product concept. The world has never been more starving than it is now for new ways to do things. And with technology, the possibilities are infinitely greater than ever before. America is a great place to manifest innovative thinking. The United States Patent and Trademark Office is the only Federal agency created in the Constitution. It may be tempting to think that the young generations coming up understand technology (and therefore innovation) better than those who have been here longer. But technology is a tool and not inherently innovative by itself. So much information is available to us at the click of a keyboard that sometimes we forget to access our most valuable knowledge base of all, our own imagination. Thomas Edison, the most patented inventor in the history of the US Patent office famously said, “Genius is one percent inspiration, ninety nine percent perspiration.” Flipping that around, imagination and a good idea are the one percent of genius. We should not tell ourselves that if we have a good idea that probably someone else has it too just because it came to our minds very easily, perhaps effortlessly. No one may have ever thought of our good idea or ideas before. But don’t forget that 99% of genius is perspiration. That means that we also have to go through the mundane and, at times, difficult part of bringing the good idea into manifestation. That part can seem to stop us – it can be very challenging and, at times, seemingly impossible. Walt Disney was a pioneer and innovator in the cartoon/film/entertainment industry. The story is that he was virtually penniless and had sunk his family’s fortune into making the first full-length feature cartoon film, Snow White. When released, it became a financial success and launched Disney’s business and his own “fairy tale” of a career, with Snow White becoming the first fantasy character to get her own star on Hollywood’s Walk of Fame and the movie winning an Academy Award. If he had given up in despair, deciding success was too elusive, just too difficult and too expensive, then the world would not have the entertainment giant that has made us all smile. We all have creativity. We all have good ideas. We were willing to put in the perspiration to start and develop our businesses. Let’s not stop there. Let’s look around our world and ask what would make things better and create the way forward? What steps would we have to take, what funds would we have to raise to manifest that idea? When I was growing up, there was a single frame cartoon in the newspaper called, There Oughta Be a Law! Well if any of us have ever thought, “They ought to do this process a different way,” or “someone should invent something that could do this or that,” we might want to stop and ask ourselves, what exactly it should be that “someone else” should invent. “There ought to be an invention!” could be our new rally cry. 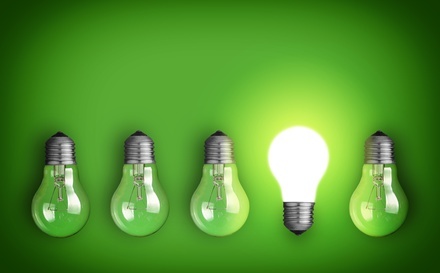 We may never become as famous as Thomas Edison but if we can use our creativity to invent even one small new way of doing things, it is a start that could lead to a whole new line of revenue. Nurture that idea. It might become worth a fortune someday. This post was originally published on the TAPE blog at http://tape-llc.com/2017/05/innovation-act-now/and was reprinted with permission. This is a guest post by Octavia D. Harris of the Advisory Committee on Women Veterans. It was an absolute honor and pleasure to attend the recent Advisory Committee on Women Veterans site visit to San Diego, California. As a newly established San Antonio, Texas resident, it was also a great homecoming. In 2012, after 30 years of Naval Service my last duty station was in San Diego, and that is also where I transitioned from the DoD to the VA healthcare system. There are many new programs that weren’t in place when I enrolled; particularly in support of women Veterans. My transition experience was fine, but this site visit gave me an inside view into how far VA has come in its women Veteran programs and advances including gynecological services, primary and specialty care, therapies and protocols for military sexual trauma, homelessness, vocational rehabilitation, claims processing, and recreational therapy. Additionally, visiting Rosecrans and Miramar National Cemeteries demonstrated there is immense effort and care to ensure the utmost respect and dignity is given to those who served and their loved ones. VA, along with private organizations, works together diligently to ensure beautification throughout the grounds. Both cemeteries were maintained well beyond my expectation. It was evident there is “top down” engagement in supporting over 500,000 Veterans in the (southern) Pacific catchment area, specifically the 48,500 Women Veterans across four large counties. Touring rehabilitated facilities and hearing from the various program managers and VA leaders was informative and impressive, but the highlight for me was the National Veterans Summer Sports Clinic. Various public and private organizations collaborated with the San Diego VA’s Recreational Therapy Program to bring together 130 Veterans who participated in various team building and sporting events, including surfing, kayaking, bicycling, paddle boarding, and my personal favorite, rock climbing. I even had the opportunity to experience what the other Veterans did by taking a ride on one of the adaptive bicycles and even participated in the thrill-seeking rock climb – it was fantastic! This level of hands-on support and recreational training led to an enormous demonstration of increased self-esteem in the Veterans and gave them a renewed sense of “normalcy” as many were adapting to uses of special kayaks and surfboards, bicycles, wheelchairs, and even being around others if they were previously crippled by the invisible wounds of post-traumatic stress disorder, severe anxiety, or depression. 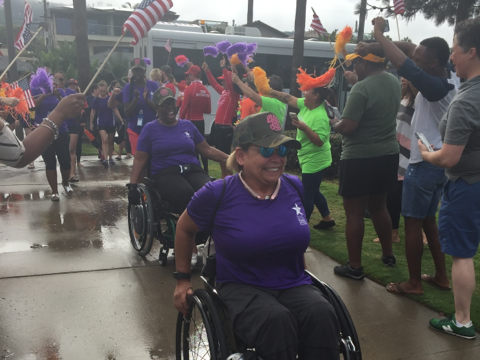 I’d never seen so many happy faces than I witnessed that day, not only from the Veterans participating but also the volunteers, which included many active duty men and women who saw first-hand what they can expect once they too become Veterans in the VA Healthcare system. The biggest takeaway from this impressive week was the concerted effort and dedication from VA leadership, staff, and the public/private collaborations, which I believe embodies the Secretary McDonald’s vision, goals, and mission for all VA Healthcare systems. Octavia D. Harris is a retired U.S. Navy command master chief and a member of the VA Advisory Committee on Women Veterans. 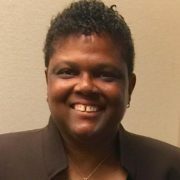 She currently resides in San Antonio, Texas, and serves on the local Community Advisory Board for Veterans. This post originally appeared on the VAntage Point blog of the U.S. Department of Veterans Affairs at http://www.blogs.va.gov/VAntage/31595/site-visit-provides-insight-inspiration-retired-u-s-navy-command-master-chief/, and was reprinted with permission. Note from Bill: TAPE President and CEO Louisa Long Jaffe is a proud member of the Advisory Committee on Women Veterans. We were inspired by this story and thought you would be, too. Sometimes choosing a proposal consultant happens accidentally. When we bought a small company down in Florida, Ray Vause was a consultant for them, and we got to see him operate before deciding to make him our own proposal manager consultant – and that’s been a very good thing. Through several proposals including a winning 50+ person effort for the Marines, we’ve continued to get good results from that decision. I asked Ray to share his thoughts about choosing the right proposal consultant. What should federal contractors keep in mind when choosing a proposal consultant? A proposal consultant should truly be a consultant, not someone who is between jobs and looking for employment, who may leave once they have a permanent offer. The consultant’s experience should also include different types of proposals (services, products, support, etc. ), different volumes as volume lead and proposal manager (cost, technical, logistics, management, past performance, etc. ), and various procurement strategies (LPTA, Best Value, etc.). How many consultants should a company interview? At least three. It is also very important to see references from companies who have used the consultant. What can the business owner do to keep the work on track? Daily correspondence with the consultant via email and conference call, attending the standup meetings conducted by the consultant, and reviewing the invoices and hours charged by the consultant. What are important things to agree upon before starting work with a proposal consultant? The process for each phase of the capture process, the level of detail for each phase of the proposal development (draft and final), and the level of authority the consultant has. Is there anything else you think our readers should know about choosing a proposal consultant? Proposal consultants have specific talent that many small businesses do not have on their staff. Good proposal consultants are hard to find. When you discover one who is flexible and works well with your senior staff, you have achieved your goal and you are on the road to success. In a recent post, I explained how government agencies use the Small Business Administration (SBA) Certificate of Competency program to mitigate their risk in working with a small business. As a follow up, TAPE CEO and President Louisa Jaffe will expand on what small business owners need to emphasize when seeking a certificate of competency. Ultimately, to present a case to the SBA you need to demonstrate financial viability, understanding of the proposed work and the ability to do it, and documentable, repeatable management processes. To begin, prepare a binder where you will have copies of everything neatly organized. This binder must be able to speak for itself as to your competency. There will be a standard list of things the SBA wants to see, such as your articles of incorporation, your operations plan, and your financials, but since a certificate is ordered for a particular project or award, you must also be prepared to be specific about why you can do that particular piece of work. You must be able to present yourself, preferably in person, to the SBA, even if you have to travel to another city to do that. Be prepared to explain exactly why you can do the job that is required, and to back up that explanation with the documentation in your binder. For your financial viability, that means evidence of a line of credit, whether it is a letter of credit from your financial institution or from another lender. You have got to show them not only that you are prepared to take on the work of this contract, but also to pay people – that you can financially handle this project. Your personal interaction and communication skills are also very important. You want to present yourself very well, be dressed appropriately for business, and be able to tell your story. Practice talking about how you started your company, about your company values and business culture, and your plans for how you will take care of employees (such as benefits, and job descriptions with metrics that are written for success, not failure). The SBA puts great importance on best practices concerning employees. Something that small businesses often overlook is the importance of detailing your executive structure and management practices. Even if your company is still very small and you do not have much structure, you need to demonstrate that you will know what to do with structure as your company grows, and how to manage a small business structure for success. Similarly, the certificate applicant will be required to demonstrate that there is someone to handle operations (running the project[s]), and someone to handle business development (acquiring new work). 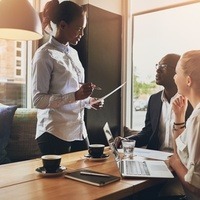 Even if there are only one or two people collectively holding all of those positions right now, the SBA wants to see that you have provided for those key responsibilities, and that the business owner understands these three separate functions (financial, operations, development) with a plan for managing them. As well, you need a specific plan that outlines your management practices for your own employee and for sub-contractors. You must be able to demonstrate to the SBA that you will be able to manage both large and small subcontractors with repeatable and documentable processes. What the SBA does not want to see is a small business just appearing as a front for a large business. You must explain how you are your own business entity, how you will keep track of what is going on, and how you will handle accountability. Depending on the size of project, this may include communication practices between the project manager and other leads, particularly if those leads are in another company (a subcontractor). You need to demonstrate how you will stay on top of what is going on in the project at all times, even if some or all of the work is happening in a different city from your own business. Even if you are not ready to go through a formal quality management program certification such as the ISO 9001, you can create your own transparent plan that serves as an umbrella of all of your management systems; management systems are repeatable and documentable processes – key systems that keep you accountable for every aspect of your business. If you have accountability and transparency, you will be golden. That way you can sit in front of the SBA and say here is our plan, here is how we will implement these processes, here is how we will document how well we do on these processes, and here is how we will upgrade these processes as we go, if we find we need to do something differently. The SBA is not looking for someone who is perfect and never makes mistakes, but for someone who is agile enough to see when something needs to change, change it, and document that change. With all of these documents and artifacts in hand, collected in a professional binder with your logo on the front, you will go in looking very organized and well put together, and you should have no problem getting your certificate. By the way, when the time comes, this identical type binder of information will go a long way towards qualifying your company for a bank credit line. But that is a topic for another day. This is a guest post by David Moyer. David Moyer is our Army Reserve Command subject matter expert, and the capture manager for our largest contract, the Army Training Models. He formerly was the Director of Resource Management for the Deputy Chief of Staff, G-3/5/7 US Army Reserve Command (USARC), where he was initially our USARC customer, and then a consultant for TAPE, advising the USARC. We can all learn a lot from Dave’s experience, so I asked him to write about it here. 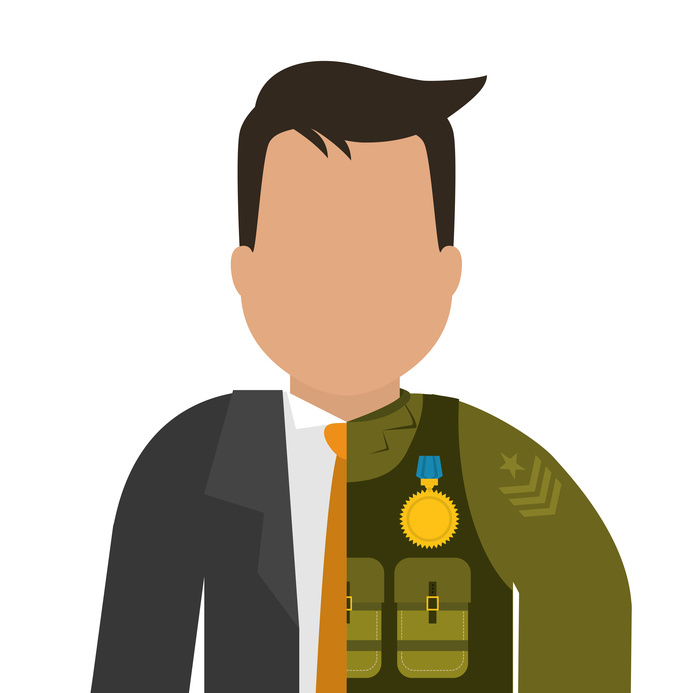 What are some of the organizational conflict of interest (OCI) issues that arise when a former government official comes to work for a company that they formerly supervised? There are legal and moral issues associated with a former government official going to work for a contractor. 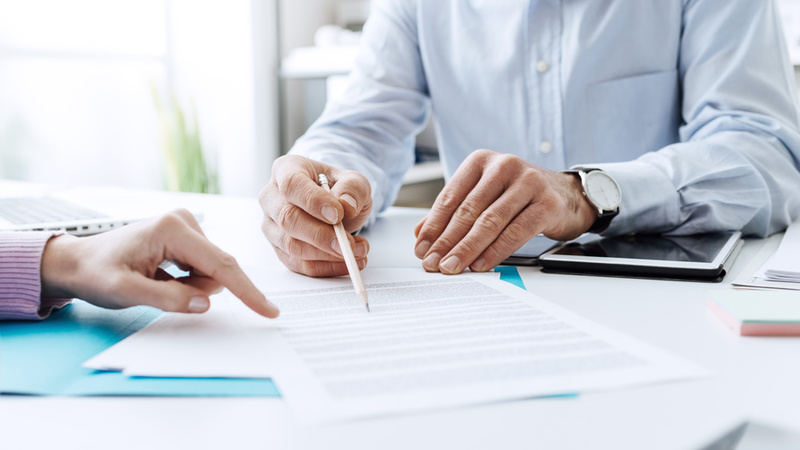 The legal issue is one of whether or not the official influenced the hiring of the company or the awarding the contract in order to obtain employment. Federal regulations and statute specifically preclude government employees from working for a contractor if a pecuniary relationship existed while the employee was still employed by the Federal Government. In this case, while I had TAPE employees working with me and in my directorate, I was not a signatory on the contract nor did I have a direct bearing on who won the contract. If a federal employee anticipates working for a contractor after retirement a letter recusing that employee from all contract negotiations must be circulated within his or her organization. As a funds certifying officer, I was more aware of the OCI issues than most. I was approached by the Graduate School USA to become an instructor prior to my retirement. I solicited Staff Judge Advocate guidance and was told to circulate a letter regarding my intention to become a contractor, which I did. When I was approached by TAPE three months after my retirement, neither a moral nor a legal impediment existed. Federal employees do not supervise contractors, but task them to perform those tasks identified and specified in the Statement of Work. They are supervised by someone within the company awarded the contract. What are your tips for how to handle these issues? All government employees must know the regulations surrounding working for a government contractor. To ensure this occurs, employees are required to take annual classes on ethics provided by legal counsel. These classes address the issue in depth. Again, in my position I not only had to attend these classes by had to fill out an OGE 450 financial disclosure form on an annual basis. As I mentioned above I am also an adjunct professor for the Graduate School USA and one of the classes I regularly teach is Federal Appropriations Law. This course covers many of the issues associated with outside employment and future employment of government employees. How can someone best prepare for being in this situation? If an employee anticipates or even considers the possibility of working for a contractor upon retirement they should seek guidance from their department legal team. The requirement is well publicized and all legal departments deal with this type of inquiry on a regular basis. What are some of the benefits your previous experience brings to your new position? My case is somewhat unique in that I am for the most part assisting my previous organization. The turnover of government employees tends to be high in most organizations. Historical knowledge is rapidly lost even though the environment remains fairly constant. In my case I was in the same directorate for almost 22 years and was the director for 18 of those years. Prior to that I had worked in resource management for over 11 years as an Army Officer. I either reviewed the work or assisted in the development of virtually all of the models used within the Army Training Model umbrellas in both the Active Army and then the Army Reserve. In that 33-year span, I was part of every change and modification to the models and assisted in the development of the algorithms associated with the model designs. In my current capacity, I receive inquiries as to whether I remember how something was generated, what issue was it designed to address and what were the benefits or drawbacks of doing it another way. That knowledge is not easily replicated. Can you give us an example of how you navigated or avoided a conflict? I was well prepared for avoiding a conflict of interest due to the nature of my position. I was required by both regulation and statute to be an “honest broker” in all my dealings within my organization and with contractors. I was also keenly aware of what my relationship with all of my contractors was to be. I always considered contractors an “asset” to be applied wherever and whenever prudent. I was able to incorporate their actions with the actions of my employees to obtain a synergy not previously possible. I considered them an integral member of my team and ensured they knew their role in achieving the goals and objectives my superiors had given me. This is a guest post by TAPE Communications Specialist Walt Long. My name is Walt Long and I work for TAPE as a communications editor and reviewer, with a special focus on our company’s color teaming process. Color teaming a proposal document is a kind of “group editing” of the content. While I was already very familiar with editing a document on my own for clarity, grammar, and word flow, this multi-person process of sculpting a draft into a strong proposal was a new challenge for me. 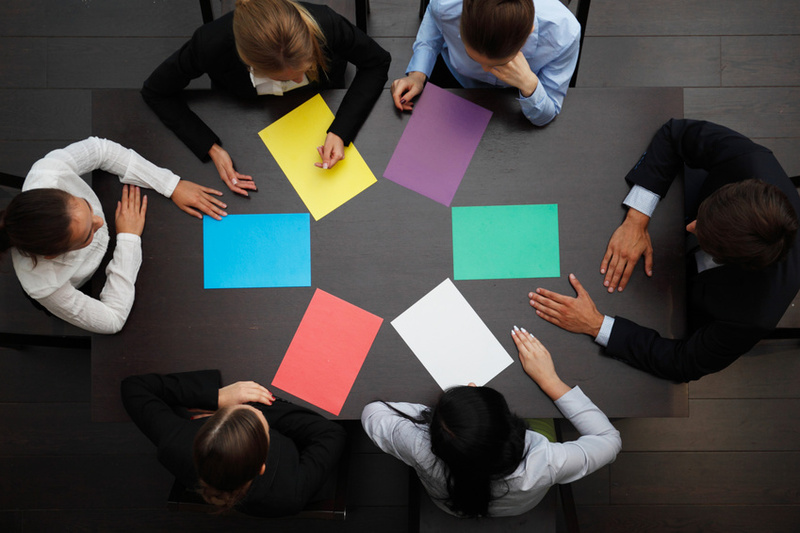 Color team reviewing of the documents and graphics within a particular proposal not only involves editing by one’s self, but also includes presenting your edits and general experience of the document to others. This happens in a series of team review meetings, with each team identified by the colors pink, red, gold, green, and white. Color team participants are made up of writers and reviewers, each with very different roles to play. I have learned that it’s important to assign the right people to write to the particular volumes required by the government’s formal parameters for each proposal. There will be representatives from each team of Prime and Subcontractors, both employees and hired subject matter experts (SMEs)/consultants. It’s also important to line up experienced reviewers who can see things from the perspective of the government evaluators and explain what specifically is missing. The Pink Team is the starter group, who clarify what the federal government is actually requiring be included within a particular proposal, and agree on an outline. Next is the Red Team phase, where more focus is placed on refining certain sections for universal themes such as Corporate Capability, Transition Plan, Technical Approach, Management Plan for Primes and Subcontractors, Sample Task Order, etc. In addition to refining content, Red Teams have to look at the actual size and look of the proposal by considering page counts, the ratio of graphics to text, and the clarity of graphics and charts. Meanwhile, on a parallel effort, away from this mostly word-centered review of the proposal, the Green Team is a separate group of folks who look at the always delicate task of what financial numbers will be presented in the proposal. Green Teams are made up of those with company proprietary information about how much to pay individual positions as well as how much to propose to the customer i.e., the government client. 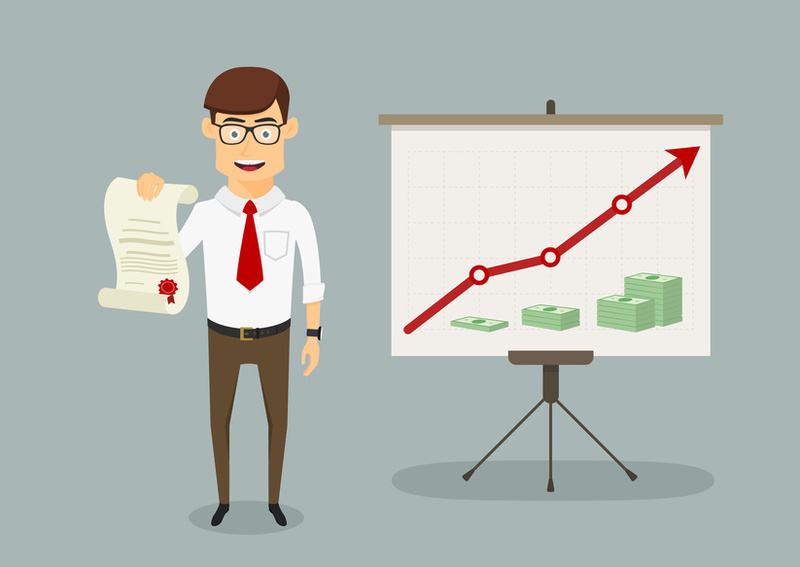 Pricing is always both an art and a science when it comes to proposals; too high is always a risk but too low means that in the eyes of the customer, you are not facing the realities of the work in question, nor might you be able to hire and keep the talent needed to fulfill the contract. Next comes the Gold Team, whose reviewers take in the entire proposal. These participants must have both the authority and the time to read their assigned volumes in their entirety, line by line. While Pink and Red Teams usually discuss their edits by phone, in my experience Gold Teams present their edits directly to the writing/production team. Finally enters the White Team also known as “White Glove,” where basically every one of the final editors and compilers gets one more chance to look over the document for obvious mistakes or any visual space or sizing problems. This final edit and production phase is just as important if not more as all the work that has led up to this point. It is their job to create a physical hard copy of the entire document must now make it physically into hard copy via either CDs and/or paper, then be physically delivered. In other cases the customer has asked for the information in electronic-only form, in which case software issues and transferring the information over the web by the deadline become the make or break process for the entire effort. Find or hire the best writers and reviewers you can afford. Such expertise pays off in the end. If you are a color team writer or reviewer, it’s best to put your ego off to the side, and hear (or give) criticism as graciously and honestly as you can with only one thing in mind: What will make this document a winning proposal in the eyes of the customer? Towards that end, everyone’s opinion can be valuable and needs to be heard, within reason. Those who see things differently must be encouraged to speak up, while the others must refrain from judgment. It is this process of considering and using different perspectives that is the heart of the color teaming process. During my experience as a newcomer to color teaming, I have learned that it is an expensive and time consuming prospect, meaning that some proposals/documents are simply too small in size and scope to justify such outlay of a company’s limited resources. That being said, I also think that such a process is a very good way to sculpt and process a proposal or any other document from start to finish. If done right, you get a finished product that has been examined from many different points of view, resulting in a polished and evolved document.